When I first came to the farm and was getting my sea-legs, I did not like beets. In fact I’ve never liked beets. When I saw dozens of 100 foot rows planted, I remember asking Val, “Is there really a call for this many beets?” I soon learned that beets are one of our most popular crops. I also learned that when you grow food without chemicals, it directly affects the flavor of those vegetables. You have an opportunity to find how they genuinely taste, which is often incredibly sweet. Over time, with Val’s encouragement, I learned to not only like beets, but love them! Now I pickle them, roast them and put them in soups. 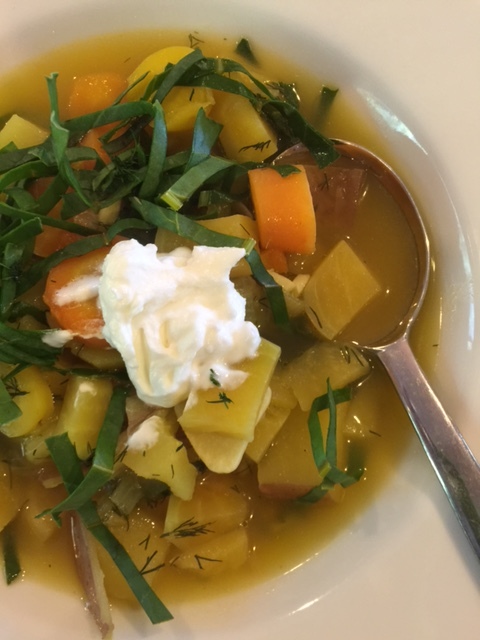 When the weather cools off, soups come front and center. 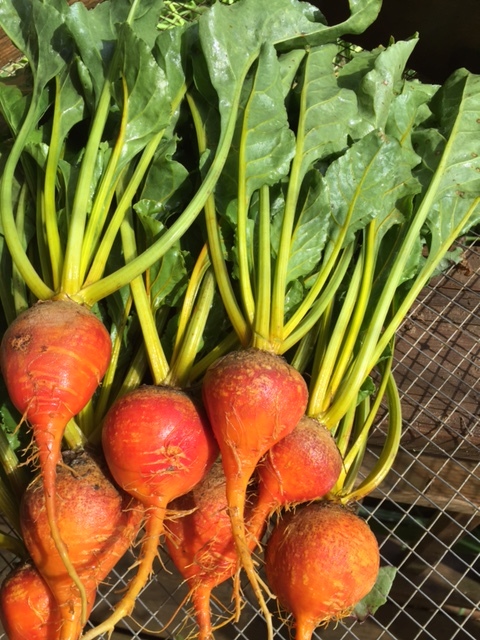 After making borscht for several years with red beets, I began to wonder if it would work with our beautiful golden beets. 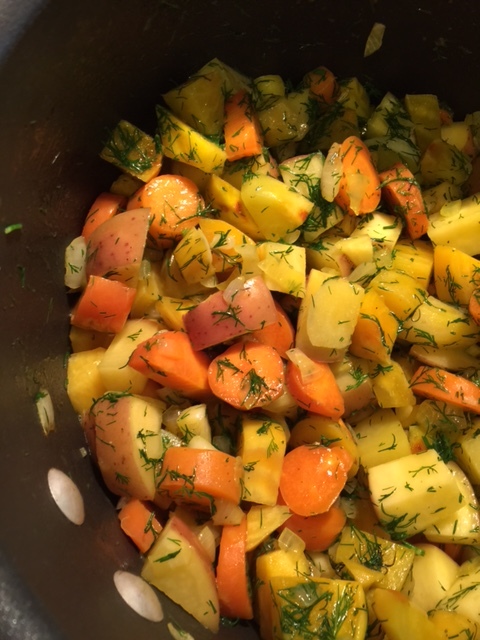 Slightly milder in flavor, I knew they would match up equally well with our carrots, onions, potatoes and dill. It’s a wonderfully satisfying soup. In a large Dutch oven or soup pot, saute the garlic and onions with the olive oil on medium-high until softened. Add the remaining vegetables and continue to cook for 5 minutes. 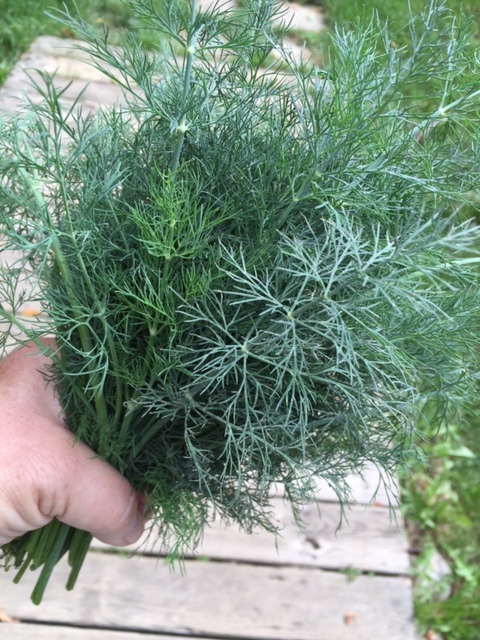 Add the fennel seed, dill, bay leaf, and stock. Bring to a boil, then simmer until vegetables are soft. About 15 minutes. Ribbon the beet greens and add half to soup. Add the salt, pepper and apple cider vinegar. Taste and adjust seasoning to your preference. Ladle into bowls, top with additional beet greens and a dollop of Greek yogurt.